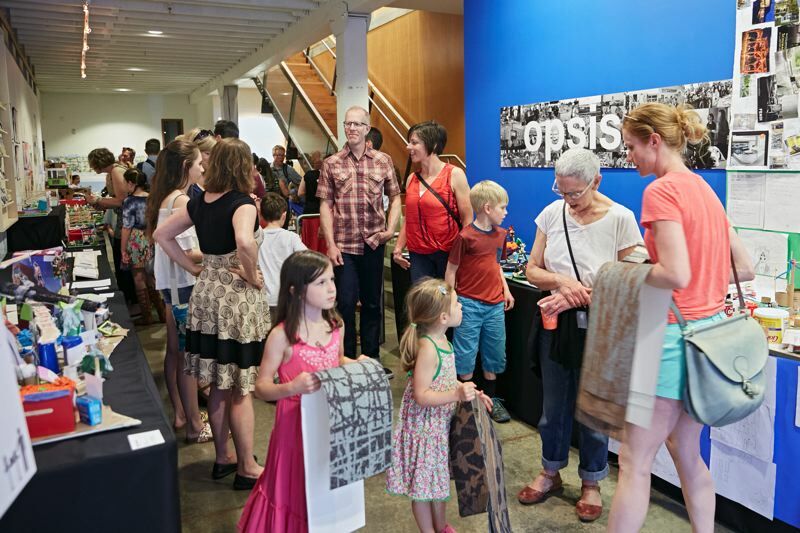 Photo By Sally Painter for AFO and Pamplin Media – The Architects in Schools exhibit opened First Friday, May 4 at Opsis Architecture (shown) and three other locations. At May’s First Thursday downtown, four architecture firms and Pioneer Place displayed the student work from the Architecture in Schools program. Architects in Schools, a program through the Architecture Foundation of Oregon (AFO) exhibits feature design projects from elementary school students created through a mentorship with an architect or engineer. The four locations were Ankrom Moisan Architects, DOWA-IBI Group, Opsis Architect and Pioneer Place. Kim Knowles, associate director of the AFO, told the Business Tribune more than 2,900 students are participating in the Portland tri-county area and a total of 4,500 students participating statewide.